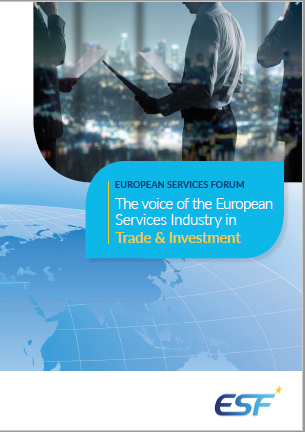 EU-Malaysia | "The Voice of the European Services Sectors in International Trade"
Malaysia is the EU’s second largest trading partner inside the ASEAN group of countries; with Singapore being the EU’s largest trading partner. Bilateral trade with Malaysia in goods reached €31.9bn in 2010 but so far services have not been a major component of the trade relationship. In 2009 EU commercial services exports to Malaysia stood at €2.6bn and imports reached €1.9bn. For the same year the EU invested €0.8bn via FDI and held stocks of €24.7bn. Despite this, it is clear that there are increasing opportunities to build on the services trading relationship due to a policy direction of increased liberalisation within Malaysia and a specific focus on boosting the role of services in the economy and in trade. For example, currently Malaysia has been adopting measures specified under various plans, such as the Ninth Malaysia Plan (2006-10) and the Third Industrial Master Plan (2006‑20), with a view to guiding the country towards global competitiveness and becoming a higher-value added and knowledge-based economy. Malaysia aims to increase the share of the services sector to GDP to 60% by 2020, in an effort to establish a knowledge-based economy less reliant on manufactured exports. Additionally, while services, in comparison to manufacturing, have been relatively closed to international competition, with FDI restrictions posing the major obstacles, trade objectives have begun to change. Specifically there has been a new focus on promoting services to reduce the Malaysian economies reliance on manufactured exports. With these objectives in mind, the government has identified services as a leading growth engine and has begun to liberalise unilaterally; with key export interest areas including education, healthcare, construction, professional services, ICT, and franchise operations. FDI has also been seen as important and there has been a relaxing of foreign investment restrictions and a streamlining of the regulatory framework since 22 April 2009. Turning to the EU’s trade negotiations in the region and following the breakdown of FTA negotiations with the ASEAN group of countries, EU Member States gave the green light for the Commission to pursue negotiations towards FTAs with individual ASEAN countries in December 2009. This began with the EU opening negotiations with Singapore and following it up with the opening of negotiations with Malaysia; when EU member states approved the launch of negotiations for an FTA on 10 September 2010. The first round of negotiations took place in Brussels, 6-9 December 2010. A second round followed in Kuala Lumpur during the first week of March and a third and fourth round took place in Brussels on the 10-13 May and Kuala Lumpur on the 12-15 July, respectively. Services and investment discussions are said to be progressing well. The negotiations were launched in Brussels in October 2010. The seventh round of FTA negotiations took place in Brussels in April 2012 and was followed by meetings of Technical Working Groups in a number of negotiating areas in Kuala Lumpur September 2012. The EU has reached the half-way point of the FTA negotiations with Malaysia. However, the most difficult issues remain to be resolved. The negotiations were stalled since September 2012 due to the political campaign in advance of the General elections. Following the general elections that took place in May 2013, Malaysia should now step up its level of ambition to allow for further progress in the negotiations. But unfortunately no date for a new round has been fixed yet! 1. Remove or reduce obligations to enter the market through joint venture. 2. Remove or reduce the restrictions on foreign capital ownership (at least up to 51%). 3. Wider levels of cross-border commitments in trade in services across all sectors. 4. Improve national treatment in all services sectors, providing the same business opportunities to non-Malaysian citizens. 5. Better enforcement of laws and regulations according to fair and transparent criteria. 6. Improved regulatory transparency including commitments to propose regulations in draft form and provide interested parties the opportunity to comment on such draft regulations. 7. 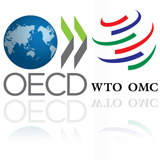 Greater market access and transparency in public procurement. 8. Provide a high level of post-establishment investment protection.